Consider starting or continuing your career with the DHDC! The Discovery Center is a unique and rewarding place to work. Below are our current open positions. Please read the job descriptions and follow the instructions for how to apply. Thank you for your interest in the DHDC! The Don Harrington Discovery Center is looking for Assistant Teachers for our award-winning summer camps. Ideal candidates will be friendly, flexible and enjoy working with children. Must be available to work camp hours, June through end of July. See the full job description here. The Don Harrington Discovery Center is hiring a part-time (20 hours/week) custodian. The ideal candidate will have basic knowledge of housekeeping responsibilities and be available to work during and after regular business hours, including special events. The DHDC is devoted to keeping a safe and clean environment for our guests. Click here to see a full job description. The Don Harrington Discovery Center is looking for a part-time Science Guide to join our team. The ideal candidate will be outgoing, inquisitive and enjoy working with children. 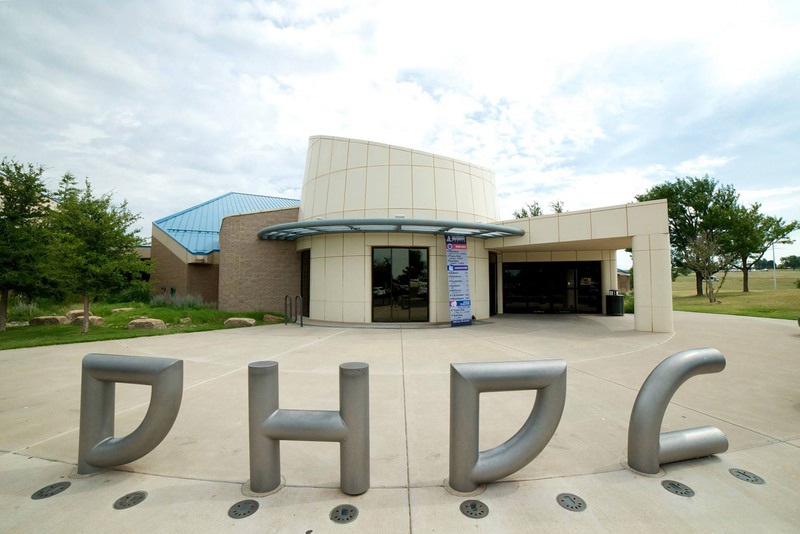 The Science Guide at the Don Harrington Discovery Center has a unique opportunity to constantly learn about science, meet new and interesting people, and make a difference in the lives of our youngest to oldest visitors. Qualified candidates must be available to work days, evenings and weekends on a rotating basis. Click here to see a full job description. Are you outgoing and motivated to learn constantly? Do you live for excitement? Enjoy blowing things up? Do you strive to change lives? If so, you may be the perfect candidate as a permanent part-time Science Guide on our Education Team. This position offers fun, dynamic opportunities to display the wonders of science to children and other visitors. The ideal candidate will be outgoing, inquisitive and enjoy working with children. Qualified candidates must be available to work days, evenings and weekends on a rotating basis. Preference will be given to applicants with prior experience in education and/or working with children. Great opportunity to gain technical and instructional classroom experience; possibilities for gaining hours towards college courses. Click here to see a full job description. The Discovery Center is always looking for volunteers to help at our many events. Do you have a student, civic, or church group that needs volunteer hours? Check out the many opportunities this year to help out at the DHDC.